Wrapping your baby up so they feel as snug as a bug in a rug to help reduce crying and increase the duration of sleeps does certainly sound appealing. But what is swaddling exactly? Is swaddling safe? And what are the safest swaddling techniques? The answers for many of your questions about swaddling are here in this article! And whether you decide to swaddle or not is completely up to you but it’s important that you acquaint yourself with the benefits and risks of swaddling before trying it yourself. The act of swaddling is to wrap the baby fairly tightly in a blanket, in a specific way (similar to that of a burrito), making them feel as cozy and snug as they did inside mommy’s womb. Swaddling is an age-old technique that was used around the world pre-1700’s to reign in a baby when they are crying too much, and to help them sleep for longer. It makes them feel safe and protected, and you can tell that babies really do seem to love the experience. That’s why the technique has been gaining popularity again in Western Europe and North America since the 1970’s but despite the potential benefits, it’s not without its risks. The benefits of swaddling are not only limited to the increased sleep and reduction in crying but there are many more that help reduce some of the problems that parents face with new babies. Parents often provide their babies with blankets which can pose a suffocation risk. 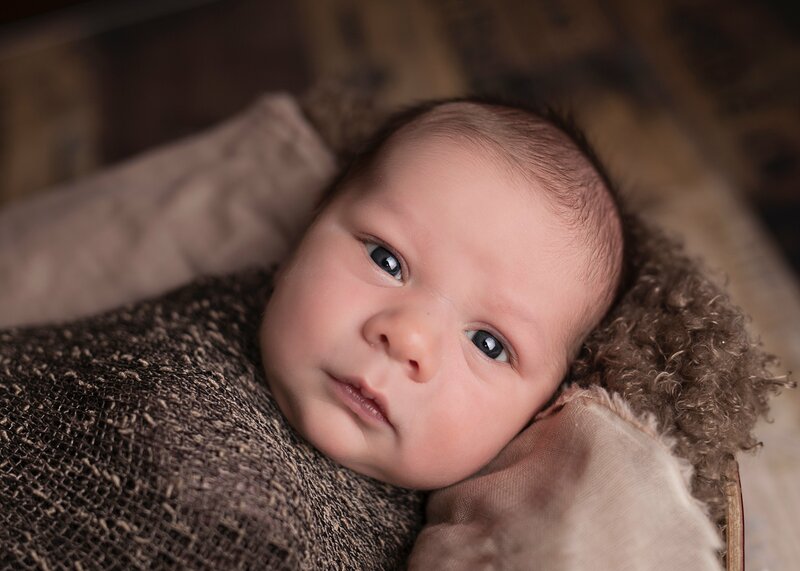 By swaddling you are doing away with the loose ends of a blanket whilst still providing your baby with warmth and comfort. Swaddling has benefited babies who are born early that show vast developmental improvements according to the American Academy of Paediatrics. The addictive nature of some drugs and medications can be unfortunately passed on to the infant form the mother’s bloodstream causing the baby to be born addicting to the substance. The main benefit of swaddling is that it helps new born to get more REM (rapid eye movement) sleep. This means that the baby is less likely to fully awaken if disturbed. Parents usually have their babies wear mittens to stop them from scratching their own face and eyes with their razor sharp nails. Swaddling is an alternative to mittens as it keeps their arms in position so they are unable to scratch themselves as they sleep. Trying to soothe a colicky baby can be severely frustrating for parents there are several measures to take to console the seemingly inconsolable child. Babies tend to experience what is known as the Moro reflex or the startle reflex which can be described as similar to when you are falling asleep and you feel a sudden falling sensation which causes you to jerk awake suddenly. It’s common in babies and is very much a normal symptom of their neurological development. It can be stressful for the baby if it does disturb sleep too often though and a swaddle can help reduce it. It’s important to note that each baby is different and not all respond to swaddling in the same way. So what works for one baby may not work for all. If you are trying swaddling out and find it has no beneficial effect, it would probably be worth stopping at this point. 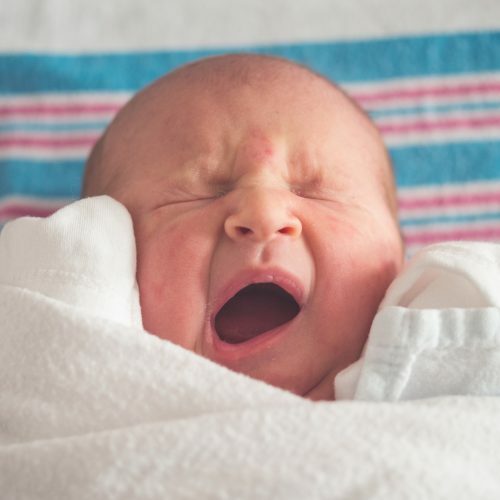 As mentioned earlier, swaddling isn’t without its risks so let’s take a look at the downsides and see if they can be avoided. In a child care center, there are many babies and many assistants with their own swaddling technique variations, as opposed to two parents in the privacy of their own homes, as outlined by Dr. Glass from the AAP Section on Early Education and Child Care Executive Committee. The hip is a ball and socket joint much like the elbow, with the ball end of the femur being able to fit perfectly into the socket on the pelvis called the acetabulum. Hip dysplasia occurs when the ball is unable to fit into the socket causing a lot of pain in the hip and an increased risk of developing osteoarthritis. Swaddling can help in reducing the risk of SIDS in babies by reducing them from being able to move onto their stomachs whilst they are sleeping, keeping them in the supine position. Even though swaddling is a great way to keep your baby warm and comfortable but it’s been shown to be less effective than just having skin contact and hugging mother or father. They all reference the basic shape you are using when folding the swaddle together. Varying swaddle blankets and wearable swaddles that can be bought but it’s absolutely essential to swaddle the correct way. In a similar way to pacifiers, swaddling is a great way to comfort babies that are overly fussy and are colicky. The problem with it is, just like pacifiers, it’s hard to get the baby to give it up. It can become so associated with sleep time that they don’t feel like it actually is sleep time without the swaddle after months of the swaddle being a part of the routine. It’s common for parents to phase out swaddling when the baby reaches between 4-6 months old but still it’s fine that many parents continue to swaddle up until 9 months. The Moro reflex usually calms down when the baby is around 5 months of age so it is at this time the baby doesn’t jolt themselves awake so often, a good time to start phasing swaddling out. There are cases in which this isn’t true so use your best judgment on this and if the Moro reflex persists, don’t suddenly stop swaddling or your baby will be startling themselves awake more. If your baby starts rolling over onto their tummy it’s a sure sign to stop swaddling because, as we have discussed in this article, we don’t want baby sleeping in prone position whilst being swaddled due to the increased risk of SIDS. Even though it’s best to ween the baby from swaddling, safety is a much more important factor in this case and it would probably be best to stop swaddling sooner rather than later. If your baby is able to break free from the swaddle more often than not, it’s not a safety risk in itself. But it does mean there is a likelihood of loose blankets in the crib which is a choking hazard. If you would like some more guidance of when and how to stop, you are welcome to read our article about stopping swaddling. Remember that when it comes to swaddling it’s your decision. Is swaddling safe? Well, it is a really helpful technique to calming and helping your baby to sleep that has been used for generations, worldwide. The risks can certainly be avoided to an extent but you should always be cautious, and make sure that you know the risks and the information surrounding the topic. Before we finish up, this list of swaddle do’s and don’ts will help remind you of good swaddling practice and a top tip would be: before applying a swaddle to your baby, practice on a doll first! Do place your baby on their back (in the supine position) when they are being swaddled. Especially at bedtime. Do use a thin material such as light cotton or muslin for the swaddle. Do stop swaddling when they start rolling over onto their front! Do leave a hand width of space between the baby’s chest and the blanket. Do leave enough room for the baby to move their legs. Don’t make the swaddle to tight around the hips, legs or chest. Don’t make the swaddle too loose so that it comes undone. Don’t use a thick blanket or material to make the swaddle. Don’t swaddle when the baby starts to roll over.